Stamp Duty is a tax levy that is payable on the purchase of a residential property or piece of land. The tax is applicable to freehold and leasehold, whether the transaction is financed by a mortgage or is an outright purchase. Stamp Duty is also payable on second and subsequent homes but at a different rate. The current legislation covers the populations of England, Wales and Northern Ireland. Although it is a tax imposed by the UK Government, Scotland has operated a different private housing system since long before devolution (the Scottish equivalent is Land and Buildings Transaction Tax). At the time of writing (2018), Stamp Duty is payable on house and land purchases over £125,000 and on second homes over £40,000. It is payable according to several rate bands and is calculated according to the proportion of the purchase price in each band. 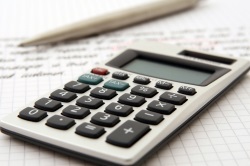 The calculation of Stamp Duty for leasehold residential properties is different (according to length of lease), and the purchaser’s solicitor will provide the calculation. Second homes include additional residential properties to a main residence and also buy‑to-let properties but do not include mobile homes, caravans and houseboats. Stamp Duty is payable for properties over £40,000, and the tax is payable at the current rate plus 3%. The term “first-time buyer” applies to someone who is buying his or her main residence and has never previously owned a freehold or held an interest in a leasehold property either in the UK or abroad. The Stamp Duty as outlined above does not apply, and there are different rules. For properties of a value up to £300,000, there is no Stamp Duty. For properties between £300,000 and £500,000, no stamp duty is charged on the first £300,000 of the purchase price and a reduced duty is applied to remaining amount. For properties over £500,001, the standard rate of Stamp Duty applies to the whole purchase price. An important consideration for first-time buyers is joint ownership. To qualify for Stamp Duty relief, both purchasers (whether a married couple or cohabiters) must be legally a first-time buyer. Other than buying a property for less than £125,000, which is not a viable proposition for many places around the UK, there is very little opportunity to avoid Stamp Duty or to pay less. It might be used as a point of negotiation for a new build, so the construction company offers to pay it as a carrot to potential buyers. If a purchase price pushes the property into a high tax band, again there might be room for negotiation for the seller to accept a lower price, putting it in the lower band. Another option is to purchase land and build a house, as land is typically under 35% of the costs of the finished property. Stamp Duty is one of the nasty taxes that must be paid if you are purchasing land or property. It is a lovely earner for the government, and while tax thresholds are often revised up and down, it is a tax that is definitely here to stay.